Websites today have been becoming more advanced in terms of technology and usage. Versions of technology are continuously rolling out so as to maintain stability and fix old issues. With time, need of improvement in authentication was also necessary so that a website won’t lag behind on any essential items. Below are must have authentication types a website must have. Traditional login with progressive profiling:Traditional login is the default way user authenticates to a site, i.e. via inputting login credentials. Today nothing has been changed in traditional login but on backend, upgradations have improved process of authenticating, making it secure and fast. Progressive profiling is a new term for most of us and implementing it can make authorization process more efficient and convenient for visitors. How progressive profiling works is it serves submission fields in bunch of small steps, while registering or after registration. It helps customers in filling long forms conveniently and without feeling tired. It can also be implemented for small signup forms also. OTP authentication: OTP authentication can be used as individually or in combination with traditional login. Basically an OTP is sent on mobile device, which is already registered on the site, and as soon as OTP is validated, user gets authenticated. 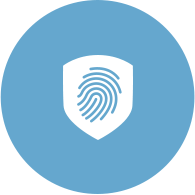 Today as a trend, 2 Factor authentication is widely being used by businesses. In 2FA, traditional registration is implemented so that user can authenticate and after successfully passing traditional login attempt, user has to go through OTP verification. Social Login: Social login is yet another convenient way for visitors to authenticate to a site. In social login visitors have choice to authenticate site using their social media profiles. Social login came into demand when social media became very much popular and social media platforms started giving options to login to other sites using visitor’s social media profile via api’s. Another reason for its popularity was because of the fact that most of the users are already logged in to their social media profiles 24x7, whether it is a desktop or mobile device. It becomes convenient for them to authenticate with just few clicks. These are the must have authentication for a website. Individually assembling them all at one place can become a hectic job, so one can use a identity management platform to get them all at one place.